There's something thrilling about going to Ikea. The big blue and yellow sign, the smell of Swedish meatballs and cinnamon buns in the air, and the dizzying amount of merchandise are enough to make your head spin. Everything looks amazing and you want to buy it all (or at least I do!). Here are 12 hacks to keep your spending in check. Because being in an Ikea store can be overwhelming, take a few minutes to go through the Ikea website before you head to the store. The site also has lots of deals that you might miss when you're physically in the store. "Look up your local Ikea's store webpage because there are always special deals you may only learn about from seeing them online," Josh Elledge, founder of smart shopping site, SavingsAngel.com, said. Ikea.com offers online shopping lists so you can get organized before you go. Because let's be real, we've all headed to Ikea to look for a bedside table and left with a car full of stuff and a big credit card bill to show for it. Lisa Batra, the founder of My Kid's Threads, the online marketplace where parents can buy and sell designer children's clothing, suggests adding the locations of each item to your list. If you're planning a move and intend to make a big Ikea purchase, take advantage of their moving program where they'll give you a $25 off coupon on your next purchase of $250 or more. Ikea stores usually have a special sale one day a week, so call ahead to ask what day that is and plan accordingly. The sales vary, but they are usually an extra percentage off certain items or categories. "I have found the best time to visit Ikea is early in the morning on the weekdays — Monday happens to be my favorite due to fresh inventory and less crowds," Batra said. "Household furnishings are least expensive in December, same with cookware and tableware. They're most expensive in May and June," said Brett Graff, leading expert on all things home economics at TheHomeEconomist.com and publications like the Los Angeles Times. Graff pointed out that Ikea can be a workout. "We make better spending decisions when we're not distracted, so wear comfortable shoes, have a snack and a water bottle on hand," he said. "Leave the kids at home, they tend to ask for things and get tired." When it comes to bags, it helps to bring your own. Batra always brings her own bags since you'll have to pay for them otherwise. "The Ikea Family program is a no brainer because it offers exclusive (and often generous) discounts on select products," Elledge said. In addition to special discounts, often in the 15-20% off range, and extra time in Småland (the ball room), the program entitles members to free coffee and tea in the restaurant, early sales announcements, 90-day price protection, BOGO frozen yogurt and, every once and a while, the chance to win gift cards. When you arrive at the store, Batra recommends entering through the exit door, which will put you in the warehouse. "You'll have your list ready with the locations all mapped out so you'll be in and out in a jiffy!" she said. "This tip has saved me countless hours and dollars in my pocket. Plus it allows me to bypass all the eye candy throughout the store." Another advantage of hitting the warehouse first, according to Batra, is the "As-Is" section, which is nearby. She suggests finding out when your local store restocks the "As-Is" section, which in her experience is usually on Mondays. If you are not familiar, the "As-Is" section contains discounted items that are already assembled. These items have either been used for display or were returned by other customers. The price is generally right and you don't have to put the items together (but you do have to squeeze them into your car!). Ikea is a prime example of a store that is designed to entice shoppers to buy, buy, buy. The winding path ensures that you see (and hopefully want) literally every item in the store. Instead of following this designated path, follow the "shortcuts" signs to get to the areas you need to visit more quickly. Also, consider putting the Ikea app up on your phone because it provides a handy map. It's OK to veer off your path if you happen to see a yellow "last chance" tag on something that intrigues you. That tag indicates that the item is about to be discontinued. There is usually a discount being offered as well, so consider snapping it up! You might be inclined to toss those instructional booklets once you've assembled your purchases, but Elledge recommends hanging onto them so you can get free replacement of broken parts. "All you need to do is visit your local Ikea store and show them the parts you need," he said. "To make the process much easier, use your booklet to ID the product and exact part number. Because of this benefit alone, Ikea is my go-to store for most furniture items." 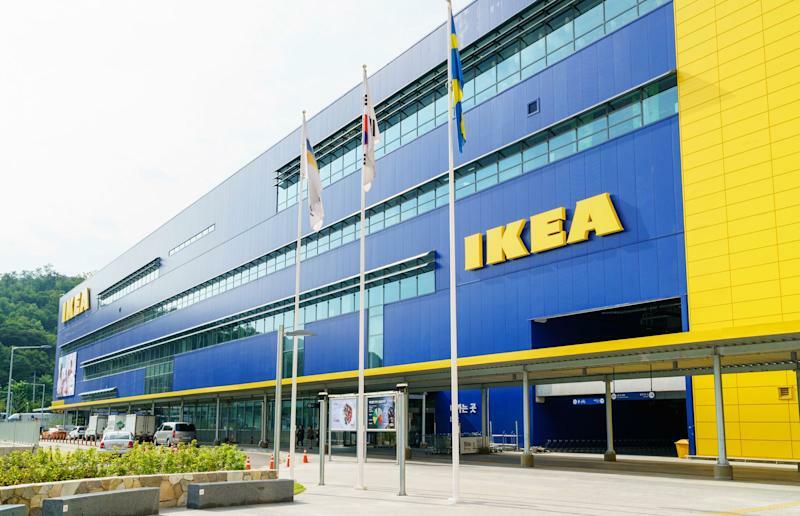 So many stores offer free shipping that Ikea's $59 delivery fee might seem pricey. But, if you are buying more than your car can hold, that fee is much more reasonable than renting a U-Haul. The $59 fee can increase based on the distance from you home to the store, but it does not increase based on the size of your order. Remember, whether you're redecorating your digs, buying a new home or furnishing an apartment, it's important to stay on budget. High levels of debt can wind up hurting your wallet — and your credit score. You can see how your current debt levels are affecting your credit by viewing two of your credit scores, updated every 14 days, for free on Credit.com.